Tablets and Kids – How Young is Too Young? With the explosive growth of tablet sales around the world, the debate has started regarding access to these devices by young children – from toddlers on up. Watching the ease with which my four-year-old granddaughter uses both the Android and iPad tablets, this is an interesting question – one that becomes more interesting as we see price points drop to the point where many parents will be getting powerful (and inexpensive) tablets for their kids this holiday season. Name brand seven-inch tablets have already broken the $200 price barrier, and the prices will continue to drop for lower-end devices. Make no mistake, though, these cheap tablets are powerful devices – not just for web searching, but as platforms for everything from painting programs to puzzles and (soon) programming languages for kids like MIT’s Scratch. So, if the tablet argument is like the discussions in the past, it is because we recognize how pervasive this new technology has become. Today’s kids increasingly expect to be able to move things on a screen by swiping their finger across it. They seem to be coming prewired for the game. To the issue of suitability, I would make the following argument. It is not access to the devices that we should be caring about – that will happen anyway. Our focus should be on the things children do with these tools. As I’ve said for decades, the hammer used to create Michelangelo’s Pieta is not that different from the one used by the vandal who tried to destroy it. The tool’s use is the issue – not the tool itself. One can argue that, unlike television, tablet use is interactive and, therefore, more engaging. But that begs the question; engagement toward what end? On this topic, MIT’s Seymour Papert has had plenty to say over the years. F0r decades, Professor Papert has argued that the real power of computers (and by implication, today’s tablets) becomes unleashed when children use them to build programs of their own design. He argued that Logo (a language whose development he fostered, and a precursor to Scratch) had “no floor, and no ceiling,” meaning that the novice user could work with the language and continue using it over the years as his/her sophistication increased. In this sense, Logo was like a natural language in which users increase their sophistication over time. He even displayed a version of Logo for pre-literate children, reinforcing the idea that age was not a factor. My recommendation is that we all pay close attention to the goings-on at MIT (http://mitmobilelearning.org/) whose new lab will be home to some amazing projects, many of which will appeal to children of all ages. My friend Gary Stager makes an important point: There are lots of computers in schools, but precious little computing going on. The real power of personal computing is its ability to let people create and run their own programs. And yet many schools offer no opportunities for children to craft “apps” of their own, and are content to restrict computer use to that of a glorified library – very incredible library, but a library just the same. My enthusiasm for web sites like Instructables.com and other places that feature the actual MAKING of artifacts comes from the hope that children will someday be given the freedom to move beyond searching to building. 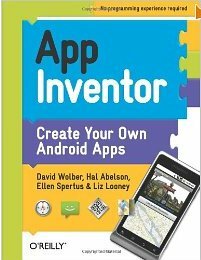 On Thursday I’ll be doing another AppInventor workshop – this one for 60 Indiana technology directors who will spend the day working with tools like Scratch, and then moving to the creation of apps that can be downloaded to smartphones and tablets. This cool book takes you step-by step through a powerful way kids can build their own applications.